Model home not for sale. The Westland by Legacy Homes. Three bedrooms, three baths, finished basement, and 3 car garage. Fabulous kitchen includes center island, 42" cabinets, pantry, and huge kitchen island and quartz countertops. Den on main floor. Lower level includes Rec Room, bedroom and bath. Legacy Homes is proud to build with 2" x 6" exterior walls and energy efficient features resulting in low utility bills. 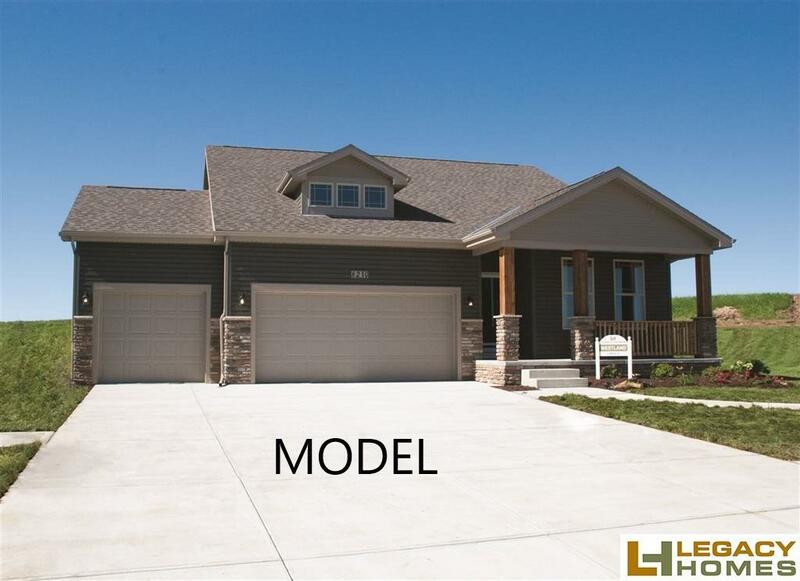 Seller is licensed real estate broker in state of Nebraska and has equity.